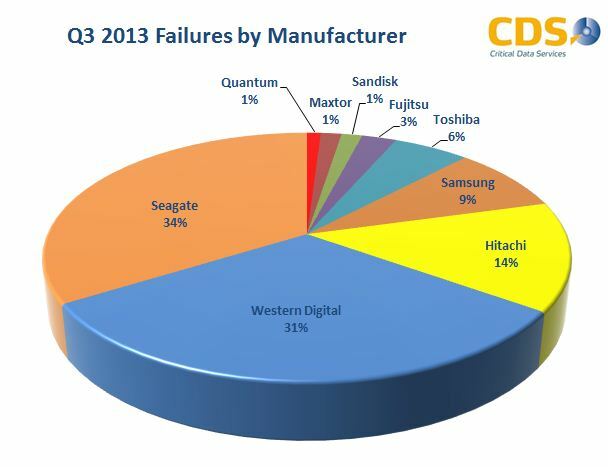 Seagate & Western Digital continue to dominate the failure stats. However, don’t assume that they are necessarily of lesser-quality. The market penetration and popularity of both manufacturers must be factored. 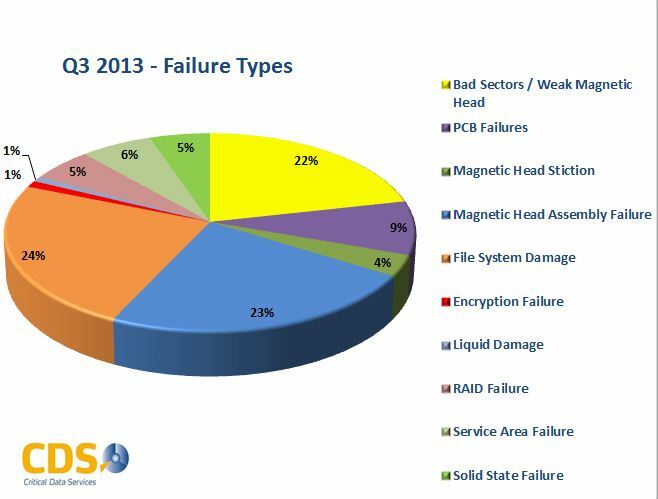 Disclaimer: The statistics are generated based on the actual hard drives submitted to our lab for data recovery during Q3 of 2013 and the publication of these statistics has no implication on the quality of hard drives manufactured by the relevant manufacturer. The statistics should not be used for determination of quality or reliability and CDS accepts no responsibility for loss of data or consequential loss as a direct or indirect result of use or interpretation of these statistics.